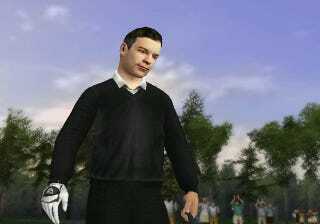 When Tiger Woods appears on Late Night With Jimmy Fallon later this week he will be facing off with the show's host in Tiger Woods PGA Tour 10 on the Wii. On Monday, enthusiastic gamer Jimmy Fallon announced that Tiger Woods would be on his show this Thursday, saying he wanted to play him on the Wii because it was the only way he would have a chance. Today, Electronic Arts confirmed to Kotaku that Woods has accepted the challenge and that the two would be playing rounds of golf on the Wii version of Tiger Woods PGA Tour 10. I'd assume it will include MotionPlus, which means Fallon better start practicing.